At Barn Farm Plants, Garden Centre, Banbury, we aim to give our customers a warm and friendly welcome with honest open advice, we are keen to pass on our knowledge through regular workshops and demonstration. You will find quality plants all tenderly looked after with utmost care and attention. 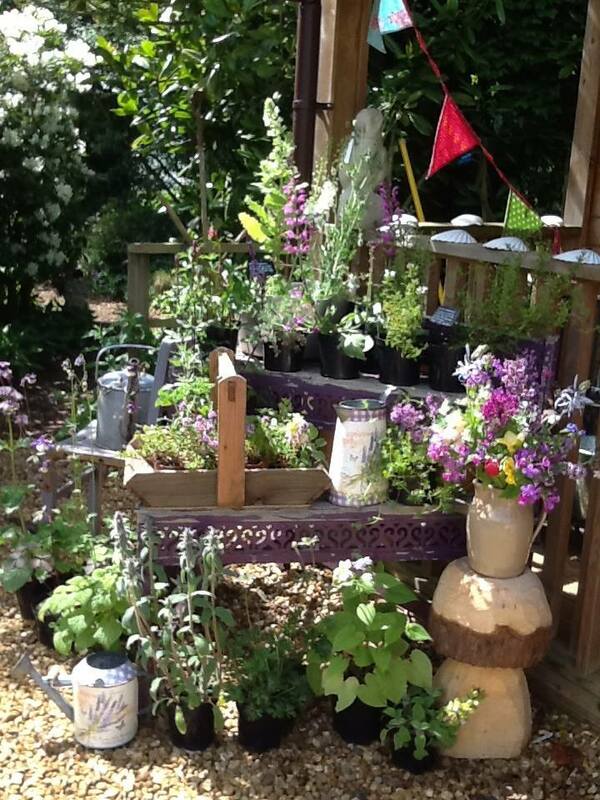 At Barn Farm Plants, Garden Centre, Banbury you will find a complete gardening experience… with a relaxing, friendly open atmosphere offering a comprehensive range of good quality, value for money plants, garden products and gifts that you’re sure to be delighted with. Click here to download the latest Barn Farm Plants newsletter, it’s packed with all the latest news, information and offers it’s one not to miss! We are a small family run business near the pretty village of Farnborough on the Oxfordshire/Warwickshire border. Our little shop is based on our smallholding in the country surrounded by our lovely garden and paddocks of sheep and two friendly donkeys. We sell homegrown seasonal flowers,unusual plants,painted furniture,handmade crafts,vintage finds and homemade preserves. We grow lots of beautiful flowers in our cutting garden which are available from March until November. We sell original, hand painted,antique furniture . Some commission work also undertaken. We also sell handmade gifts and cards many of which are made by friends and family. We sell a variety of locally made jams and chutneys. We grow a wide variety of plants,many unusual. Plants are available for sale from March until October. We are approximately 5 miles north of Banbury on the A423 Banbury to Southam road. From Banbury you will go past Mollington on your left and then past the first turning to Farnborough also on your left. Continue along the A423 for approximately half a mile and we are the next driveway after Farnborough Garden Centre.